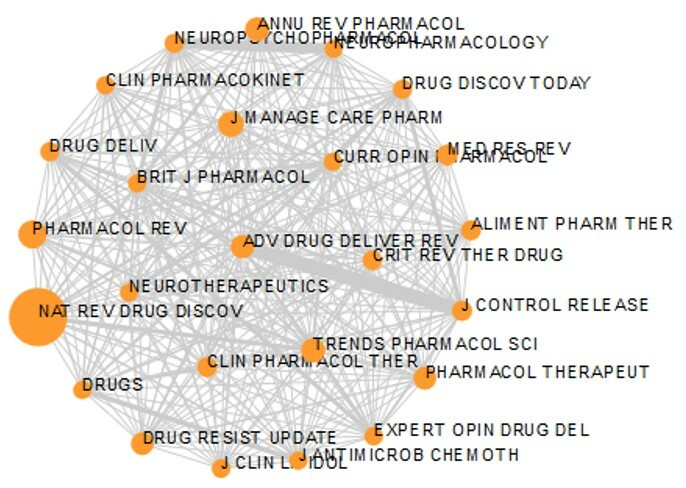 You can use Journal Citation Reports (JCR) to view the below visualization of the Journal Titles selected from "Pharmacology & Pharmacy" category and ranked by Impact Factor. Currently, 804 titles of Pharmacy, Therapeutics, & Pharmacology are found under Health & Biological Sciences: in UL. Click here to browse them.